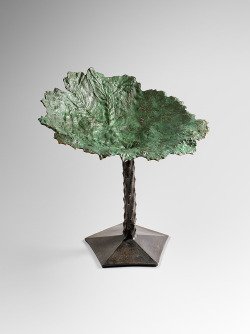 We love this prototype stool in bronze (c 1980) by Kim Moltzer. 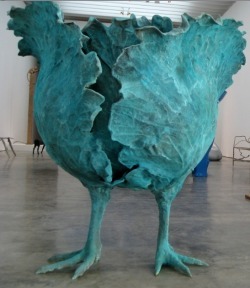 It made us think of the famous ‘Choupatte’ by Claude Lalanne - the cabbage head sprouting fantastical chicken legs she created in copper and bronze. When asked how she came to create it, she said “My choupatte - it just happened like that!”. As in the long tradition of the minotaur or satyr in ancient art and mythology where man and animal are combined to create a new surreal reality, Lalanne mixes the animal and vegetable world with startling and challenging results.